Mrs. Almeida is a Southern California native. 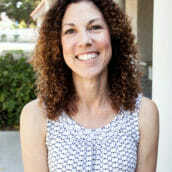 She earned a Bachelor’s degree in Sociology from the University of California, Santa Barbara and continued her education at the University of California, Irvine where she earned a social science teaching credential. Due to a strong desire to create change in Education, she earned a Master’s Degree in Educational Administration at Azusa Pacific University. Mrs. Almeida taught World History, U.S. History, Government, Economics, Health, and Dance at a traditional public high school for 10 years before taking a hiatus to be a full time Mom to her wonderful children. Most recently, she taught social studies for an online high school. She has also worked with preschool and elementary students in summer camps, as well as in the classroom. Her favorite part of teaching is watching students get excited and involved in what they are learning. Those “aha!” moments when a student understands something new make teaching exciting. She believes that every student is unique and strives to create experiences for students that are engaging on many different levels. In her free time, Mrs. Almeida can be found enjoying time with her family and friends, reading, and dancing. She also loves to travel and explore new places with her family.